EPRUI Biotech has developed a vancomycin purification chromatography medium which is specially designed for high efficient separation and purification of Vancomycin. 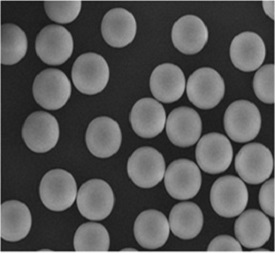 EPRUI vanco chromatography media is a spherical and monodisperse microspheres with precisely controlled particle size and optimized pore structure. EPRUI Vanco chromatography media provides excellent selectivity, high retention capacity, low back pressure, minimal elution volume, and high recovery yield of Vancomycin. In comparison with other vancomycin purification chromatography available in the market, EPRUI Vanco possesses much higher efficiency in removing dechlorovancomycin. EPRUI Vanco media is very stable in almost all aqueous solutions including NaOH (1 M) and HCl (1 M), and organic solvents, such as IPA, DMSO, THF, Methanol, Acetone, Acetonitrile, guanidine hydrochloride (6 M), etc. EPRUI Vanco exhibits much higher dynamic binding capacity for Vancomycin and leads to a much higher purity and recovery yield than competitor’s adsorbents as shown below.